A SIMILAR size &amp; shape to many red wine glasses. 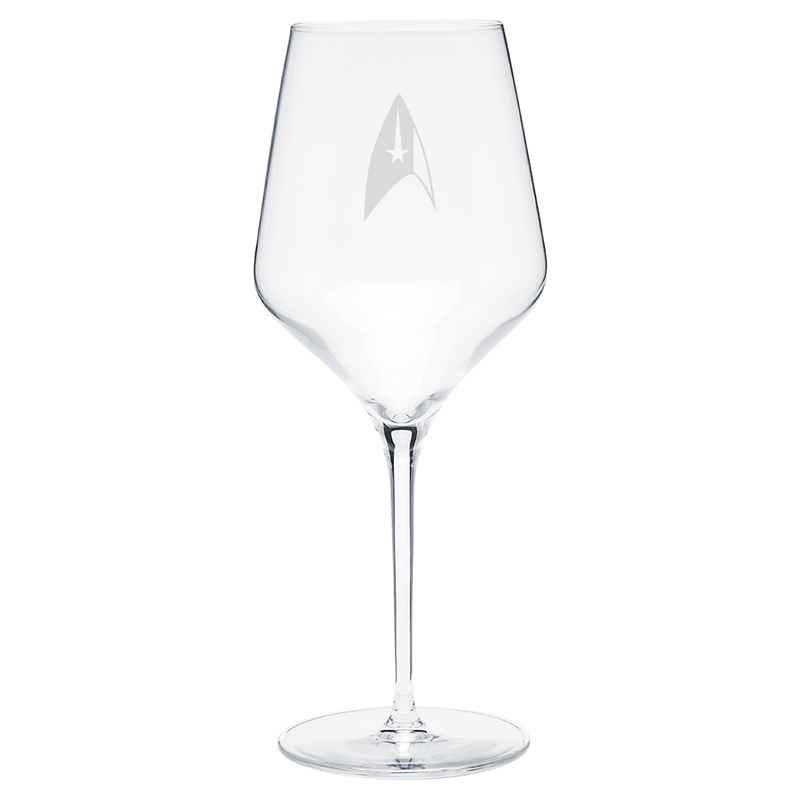 BUT... in addition to the etched TREK emblem, the size and shape of this glass IS SOMETHING SPECIAL. Just a tweak smaller than most it has a SLIGHT ROUNDNESS that makes it look different and a cut above the competition. 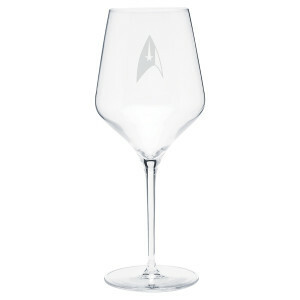 Likely to become your FAVORITE RED WINE GLASS, even if you are not Picard. I purchased two of these. Just understand that they are lightweight as compared to the regular wine glasses you can buy at a store. They will be a little more fragile than normal wine glasses. But they look so very good! I wanted something that reminded me of my favorite show If I am in the mood for wine. As a fan of Star Trek Discovery, getting these glasses was a no-brainer.